Many financial advisors have started promoting reverse mortgages as a way to delay taking Social Security benefits, but the Consumer Financial Protection Bureau (CFPB) is cautioning seniors that the risks of the tactic may outweigh the benefits. Many seniors start taking Social Security retirement benefits as soon as they become available at age 62. Waiting until full retirement age -- which depends on the year of your birth but is usually 65 or 66 -- increases the size of your monthly check. So those pushing the reverse mortgage idea are promoting it as a "bridge" that provides income until full retirement age is reached. It sounds like a good idea, but a report issued today finds that, in general, the costs and risks of taking out a reverse mortgage exceed the cumulative increase in Social Security lifetime benefits that homeowners would receive by delayed claiming. The report explains that the average length of a reverse mortgage loan borrowed at age 62 is seven years. By age 69, borrowers that pursue this strategy will pay approximately 60 percent in costs (interest, insurance, and fees) for the amount borrowed to bridge the gap in income while delaying Social Security benefits until a later age. Because reverse mortgages are an expensive way to delay Social Security, the report found that by age 69, the costs of a reverse mortgage loan are $2,300 higher than the additional cumulative lifetime amount the typical borrower will expect to gain from an increased Social Security benefit. 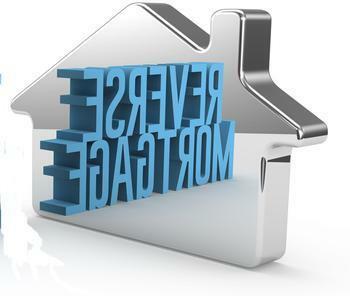 Another drawback is that the reverse mortgage limits homeowners' options to handle unexpected expenses, since the reverse mortgage reduces the equity homeowners have in their house. Homeowners who wish to sell their homes after taking out a reverse mortgage are particularly at risk because the loan balance is likely to grow faster than their home values will appreciate. This could limit options for moving or handling a financial shock. For example, a 62-year-old homeowner who has a home worth $175,000, with a 2 percent appreciation per year, will have 61 percent of the home’s total value available as equity at age 67. By age 85, this homeowner will have only about 16 percent of equity in the home if they sell the house. The Bureau also released a consumer guide and video to help prospective borrowers and their families understand how reverse mortgages work so that they can make an informed decision before agreeing to borrow. Besides the report, the CFPB is releasing a new consumer guide and video designed to help consumers understand how a reverse mortgage works, associated risks, and the borrower’s responsibilities.